Since 1999, the 0.9m has utilized the 2KCCD instrument, an optical camera with a CCD detector that is 2048 pixels on a side. The scale of the CCD is 401 milliarcseconds/pixel, thereby providing a full field of 13.69 arcminutes, or about 46% the width of the full Moon. The stability of the instrument configuration permits long-term studies that are impossible to do on most telescopes, including one of the largest astrometric programs in the world. This telescope is managed by Todd Henry (GSU). For a complete account of the telescope and its instruments, please visit its external website. 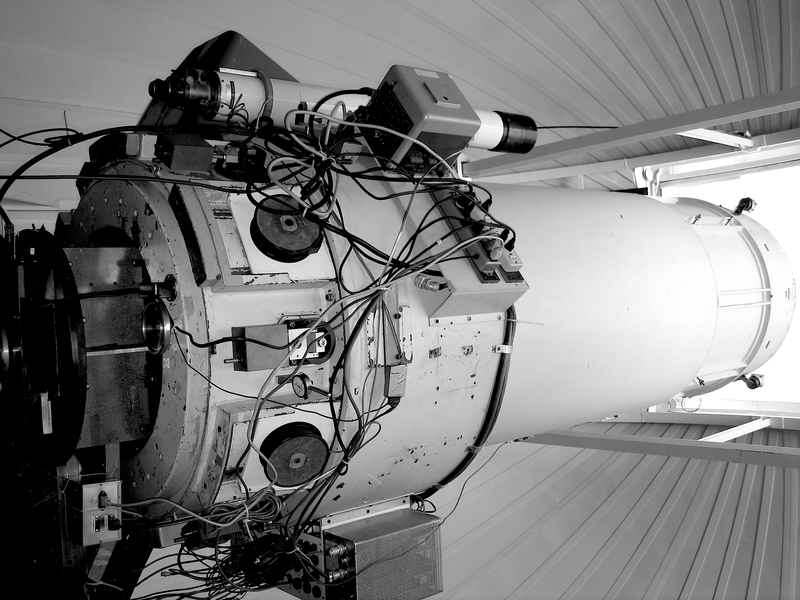 The 0.9-m telescope was constructed in 1965 by Boller and Chivens. It is a closed-tube Cassegrain design which has a visible-light imaging capability. It has found a great deal of use as a stable photometric and astrometric instrument. The mounting is a single-arm equatorial.